This unique silver pendant is like looking through a window in an old Italian farmhouse. 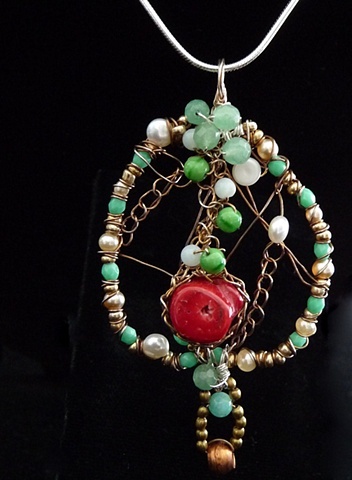 It features green Aventurine, red Bamboo Coral, potato pearls, and African trade beads. It hangs from a 16 sterling silver, Italian snake chain.